Bright and cheerful double yellow flowers, produce 5-7 flowers per stem. 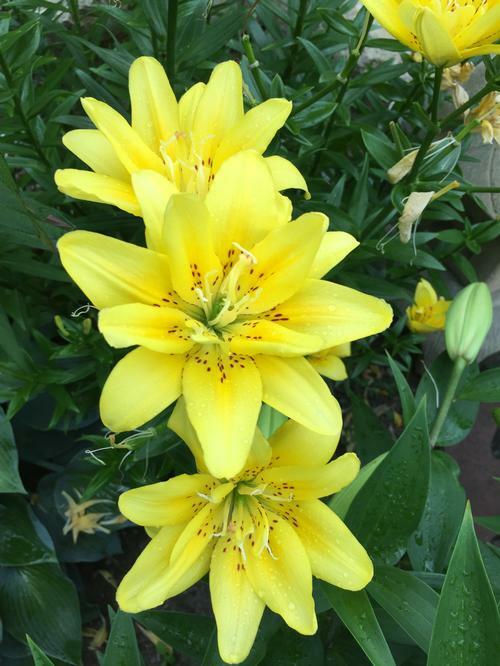 Double asiatic lilies are unique in that they do not produce pollen. Their anthers have been replaced with petals, creating a double flower and no pollen. Doubles have an exceptional long bloom time in the garden.